[Note: Flash Player is required to view the animated version of this battle map]. [Note: Flash Player is required to scroll this map]. Scrollable map of Kokoda topography around Isurava. 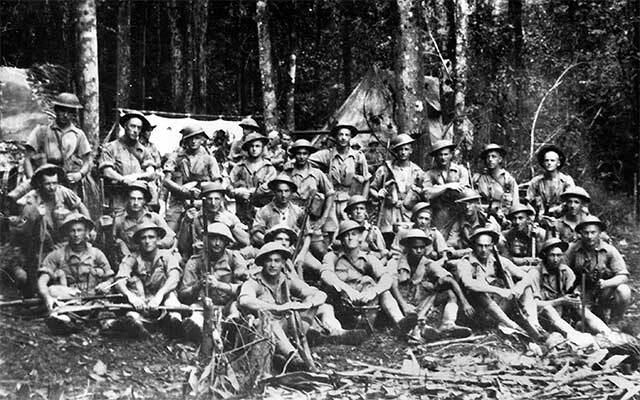 Australian Kokoda veteran interviews: The interview excerpts here are drawn from over two thousand interviews with Australian war veterans conducted by the Department of Veterans’ Affairs. The project, called the Australians at War Film Archive, aims to provide a resource for all Australians and a permanent record for posterity.